Today I'm participating in the Partners in Crime virtual book tour of The Body in the Ballroom by R.J. Koreto . . .
Synopsis . . . President Teddy Roosevelt’s daring daughter, Alice, leaps into action to exonerate a friend accused of poisoning a man just about everyone hated. My Review . . . After a short stay in Washington, D.C., eighteen-year-old Alice Roosevelt returns to New York City to engage in political and social events on behalf of her family, and Secret Service Agent Joseph St. Clair is again called upon to act as bodyguard for the President's daughter. Alice's aunt, Anna Roosevelt Cowles is more determined than ever to keep a watchful eye on the fearless Alice, and St. Clair has promised to do his best to steer Alice clear of situations unsuitable for her social stature. This is, of course, much easier said than done . . .
Alice is attending the debutante ball for Philadelphia Rutledge, one of her contemporaries, when a guest collapses and dies after drinking a cup of the Rutledge's famously detestable punch. The victim is Lynley Brackton, a society man feared and hated by many. When it is determined that the punch was poisoned with wolfsbane taken from the Rutledge greenhouse, an investigation is launched to find the person or persons responsible. Because of Brackton's social standing, the police feel pressured into making a quick arrest and closing the case. As a result, Peter Carlyle, a black auto mechanic is accused and arrested. This doesn't sit well with Alice, who overheard Brackton heatedly arguing with another gentleman earlier in the evening, or St. Clair, who knows Carlyle isn't capable of such an act. Alice's quest for justice leads the duo on a highly adventurous and dangerous investigation from the mansions of New York's elite to the impoverished neighborhoods of immigrants. It is a tumultuous time in New York City history, and the story touches on the journalistic, political, ethnic, class, and race issues of the day. Alice and St. Clair discover secrets, prejudices, rivalries, and emotions that ultimately lead them to uncovering the truth and seeing justice served. Koreto's well-drawn characters and fascinating plot make this a thoroughly engaging and enjoyable story. While The Body in the Ballroom can be read as a stand-alone, I encourage anyone who likes historical mysteries to treat themselves to Alice and the Assassin, the first book in the series. 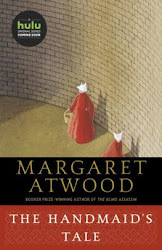 I recently read it, and you can find my review here. Excerpt from The Body in the Ballroom . . . President Roosevelt and I were just finishing our talk when a moment later, the office door opened, and Mr. Wilkie, the Secret Service director, walked in. I stood to greet him. "St. Clair. Glad to see you're back. Very pleased with the way it went in St. Louis." He turned to the president. "Have you spoken to him yet, sir?" "Yes, and he's agreed." Wilkie looked relieved, too. "Very good then. If you're done, sir, I'll take St. Clair to her. My understanding is that arrangements have been made for Miss Roosevelt to leave tomorrow afternoon." "Exactly. We're all done then. St. Clair, thanks again. And I'll be up in the near future, so I expect to see you again soon." We shook hands, and I followed Mr. Wilkie out the door. "Is she smoking on the roof again, sir?" I asked. That's what happened the first time I met Alice in the White House. He grimaced. "No. My understanding is that she is in the basement indulging a new hobby of hers. But you'll see." 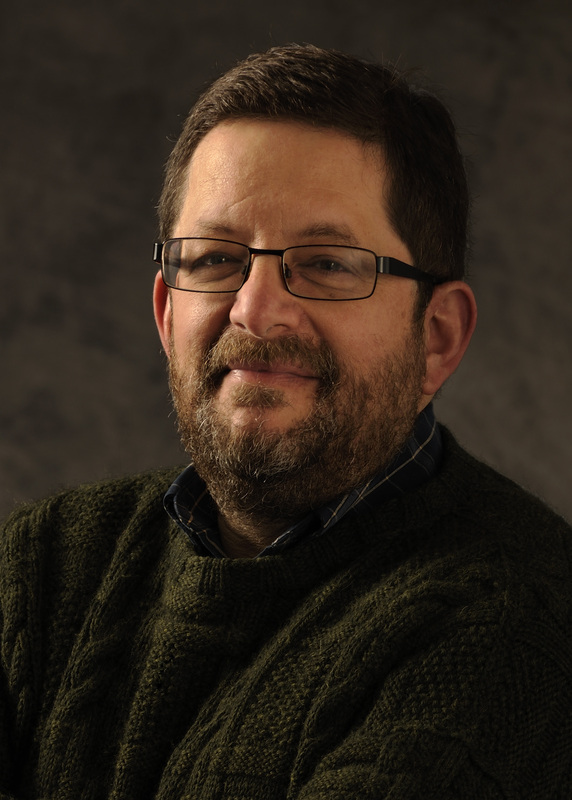 He led me downstairs, and that's when I heard the unmistakable sounds of gunfire. Mr. Wilkie didn't seem worried, however. "Miss Roosevelt somehow got hold of a pistol and has set up her own private firing range in a storage room. We launched an investigation to figure out how Miss Roosevelt obtained such a weapon but were unable to reach a formal conclusion, I'm sorry to say." I heard one more shot, and that was it. She was probably reloading. The sound came from behind a double door at the end of the hallway. I carefully opened it, and she didn't notice at first. I watched her concentrating on the pistol, her tongue firmly between her teeth as she carefully focused on reloading. It was an old Smith & Wesson single-action, and she was damn lucky she hadn't blown her own foot off. She was shooting at a mattress propped against the far wall, and from the wide scattering of holes, it was clear her marksmanship needed a lot of practice. "A little more patience, Miss Alice. You're jerking the trigger; that's why you keep shooting wild. And that gun's too big for you." It was a pleasure to see the look of shock and joy on her face. She just dropped the gun onto a box and practically skipped to me, giving me a girlish hug. "Mr. St. Clair, I have missed you." She looked up. "And I know you have missed me. They say you're back on duty with me. We're heading to New York tomorrow, and we'll have breakfast together like we used to and walk to the East Side through Central Park and visit your sister Mariah." I couldn't do anything but laugh. "We'll do all that, Miss Alice. But I'm on probation from your aunt, so we have to behave ourselves. You have to behave yourself." "I always behave." She waved her hand to show that the discussion had ended. "Now there must be a trick to loading revolvers because it takes me forever." "I'll teach you. Someday." I made sure the revolver was unloaded and stuck it in my belt. Then I scooped up the cartridges and dumped them in my pocket. "Hey, that's my revolver," said Alice. "It took me a lot of work to get it." "You're not bringing it to New York, that's for sure, Miss Alice." She pouted. "I thought you'd relax a little after being in St. Louis." "And I thought you'd grow up a little being in Washington. You want to walk into the Caledonia like a Wild West showgirl? Anyway, don't you have some parties to go to up there?" "Oh very well. But promise me you'll take me to a proper shooting range in New York and teach me how to load and fire your New Service revolver." "We'll see. Meanwhile, if you don't upset your family or Mr. Wilkie between now and our departure tomorrow, I'll buy you a beer on the train." That made her happy. "Oh, and I heard you were in a fast draw in St. Louis and gunned down four men." She looked up at me curiously. "A little exaggeration," I said. I hadn't killed anyone in St. Louis, hadn't even fired my revolver, except for target practice. "You didn't kill anyone?" she asked, a little disappointed. But then her face lit up. "Because your reputation proceeded you, and they knew there was no chance of outdrawing you." "That must be it," I said. "But look on the bright side," she said, still full of cheer. "New York is a much bigger city. Maybe you'll get a chance to shoot someone there." R.J. Koreto has been fascinated by turn-of-the-century New York ever since listening to his grandfather's stories as a boy. Catch Up With R.J. Koreto on: Website , Goodreads , Twitter , & Facebook ! Giveaway . 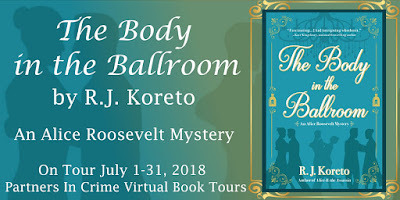 . . Partners in Crime Virtual Book Tours for R.J. Koreto is hosting a giveaway that you can enter here. Three winners will receive an amazon.com gift card. The giveaway began on 7/01/18 and runs through 8/01/18, and is open to U.S. addresses only. Void where prohibited. 07/15 Showcase @ Stacking My Book Shelves! 07/23 Showcase @ The Pulp and Mystery Shelf. Disclaimer . . . 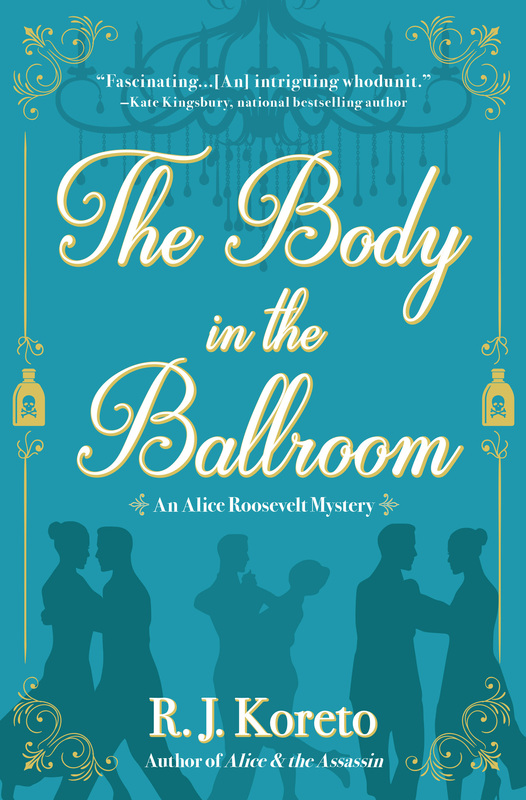 I received an eBook version of The Body in the Ballroom in exchange for an honest review. This Virtual Book Tour/Review post was originally composed and/or compiled and published by Catherine for the blog, bookclublibrarian.com. It cannot be republished without attribution. Sharing this original post on Twitter, Google+ and/or other blogs with appropriate recognition is appreciated. I want to read this series after seeing so many great reviews of it. I highly recommend this author. His Lady Frances Ffolkes series is also good, especially if you like books set in Edwardian England. OK, here is #2 in this series. Good! Glad you featured both of them and I'll be on the lookout at my library. Thanks for stopping by, Kay. I really like Koreto as an author. He has another historical series set in Edwardian England that's also good. Thanks everyone for the kind words about my books! I really enjoyed this one though somehow I missed that it was 2nd in the series when I picked it up. I'm looking forward to reading book 1!